A water spout is a meteorological phenomenon like tornadoes, which rises above the water rather than land. It is accompanied by winds blowing at speeds ranging from 80 to 100 km/h. 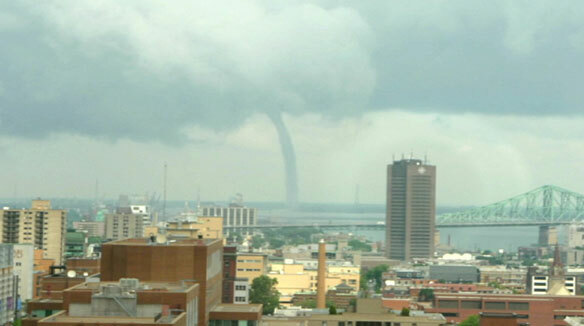 But Wednesday afternoon, not one but two water spouts were observed above the St. Lawrence River in the Montreal area. The weather phenomenon is not common (tornados), but the fact it has appeared twice in one day is even more rare. They are unstable weather conditions over the river that have enabled the two water spout to form. 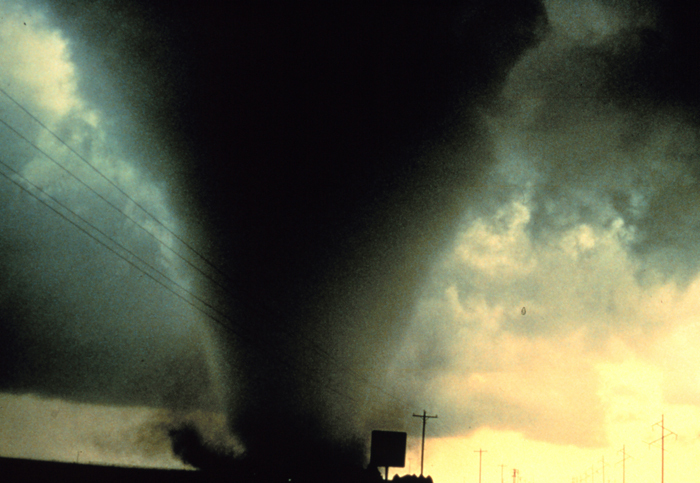 The first tornado was observed shortly after 1pm in the Old Port of Montreal, between the Jacques Cartier bridge and the bridge-tunnel Louis-Hyppolyte-La Fontaine. At this point, several people have stopped their vehicle along Highway 132 in Longueuil, to observe the phenomenon. 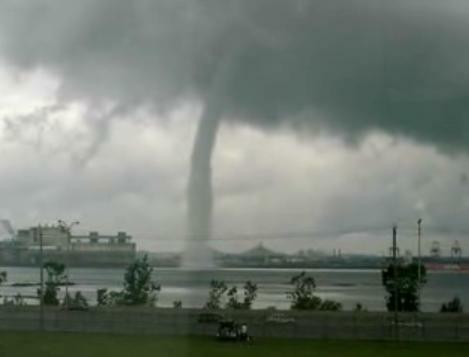 The second tornado has been seen on the St. Lawrence River at the height of Lanoraie, east of Montreal, around 1h30pm. Environment Canada had issued at 1h23pm a warning of thunderstorms for Montreal and Laval and confirmed that a funnel cloud was reported at 1h35pm east of the island of Montreal.